Leaving for the winter to escape the bitter cold? If you’re leaving your home vacant, you’ll want to take every precaution to secure it from break-ins and inclement weather. If you’re going on vacation and the temperature is dropping, you’ll need to take a few more steps in order to prevent water damage, heating and electrical system issues, and other malfunctions that could harm your home when it’s cold outside while you’re enjoying yourself elsewhere. Make it appear as though someone is living in your home even while it’s empty. Arrange to have your mail forwarded to your winter address, put a pause on newspaper and magazine delivery services, and ask a neighbor to pick up flyers or anything else that may be left on the porch or at the door. If there’s a snowstorm, you’ll want to have someone on-the-ready for shoveling. 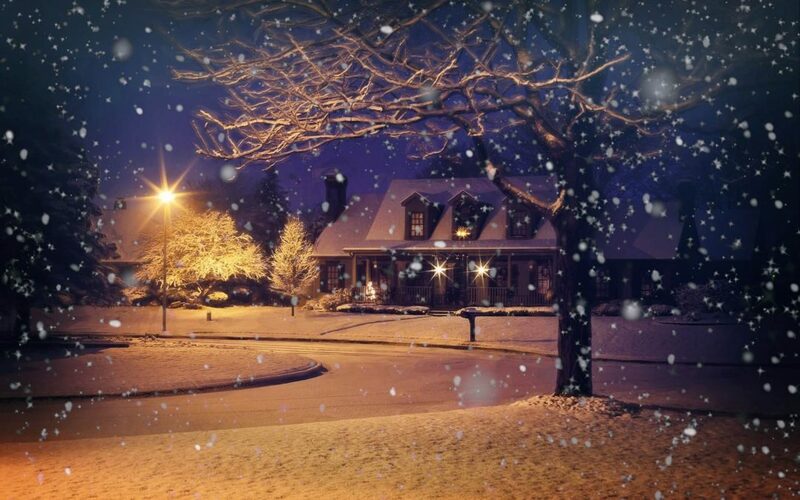 Install motion-sensitive lights both inside and outside of your home, and set timers so they’ll turn on periodically. Protect your home from burglaries. Before leaving for the winter, triple-check your alarm system and make sure you turn it on before you go. Install deadbolt locks on doors and windows. If your home has sliding glass or French doors, secure them with slide locks. Put your most valuable items in a safe deposit box or another place that’s secure and not in your house. And refrain from posting about your plans on social media or anywhere else where a possible thief could find out exactly when your house will be empty! Don’t let your pipes burst. If you’re going to be away for a significant period of time, be sure to turn the water off completely—you don’t want a pipe bursting or leaking while you’re on vacation! If your heating system is powered by steam, contact the professionals and let them decide whether or not this is a safe option. If your home has sprinklers installed in case of fires, be sure to leave the water supply flowing to that particular system. Help protect your pipes from the cold by opening the faucets and draining the water. You may even want to hire a plumber to force compressed air through your pipes to make sure they’re fully drained. If it seems like a better idea to refrain from draining those pipes, keep your furnace going to help make sure that the pipes don’t freeze. Keep the temperature at 55 degrees Fahrenheit or above. Open the doors to rooms and bathroom and kitchen cabinets—this is a helpful trick for keeping heat circulating so that it warms up the parts of your home that contain pipes. Take care of routine maintenance. Have your roof and your heating system inspected. Clean your gutters and get rid of dead trees and any dangerous-looking limbs that could cause damage during a snowstorm or heavy winds. Unplug anything that doesn’t need to be “on” while you’re away. Check the voicemail for your landline regularly—not only do you want to any catch important calls, you should also delete messages so the inbox doesn’t fill up. Consider having your annual home maintenance inspection during the fall before the colder weather arrives. A professional inspector will examine your home including your roof, plumbing and HVAC systems, and insulation. Inspect a Home, Ltd. offers property management services to folks in New York and Connecticut. If you are preparing to be away from your home for a period of time, please contact us to see how we can be of assistance.